Here below the list of Churches managed by Chorus. BUY NOW the tickets to visit these structures! This ancient church was founded in the 9th century, but it owes its current form to a late XVIIth century renovation. The façade, designed and built by Giuseppe Sardi, is one of the most original and lavish expressions of Baroque art in Venice. As a whole, it is a grandiose monument to the Barbaro Family, represented by the effigies of the five brothers and relief maps of the places where Antonio Barbaro served the Venetian Republic. In the church are a number of noteworthy paintings. Exhibiting its opulent façade overlooking the main waterway of Venice, the Grand Canal, the church was designed by Domenico Rossi (1709) and richly adorned with sculpture by artists such as Giuseppe Torretto, Antonio Tarsia, Pietro Baratta and Antonio Corradini. Inside the church conserves significant works by Niccolò Bambini, Giuseppe Camerata and Antonio Balestra, including absolute masterpieces such as “The Martyrdom of St. Bartholomew”, an early work by Giambattista Tiepolo (1721), “The Martyrdom of St. James the Greater” by Giambattista Piazzetta and “The Liberation of St. Peter” by Sebastiano Ricci. The Sacristy also displays several interesting artworks such as Pietro Vecchia's “Death of Christ” and Giambattista Pittoni's “Trajan Orders St. Eustace to Pray to the Idols”. The Church of Santo Stefano is, after the Frari and the Church of Santi Giovanni e Paolo, the third largest monastery church in Venice. Built by the Order of the Hermits of Saint Augustine in the XIIIth century, it was rebuilt a century later, and with subsequent additions to its architecture and decoration became one of the finest examples of Venetian Flamboyant Gothic architecture. Passing through Bartolomeo Bon's magnificent marble portal on the XIVth-century brick facade, one enters a space divided into a central nave and two side aisles by columns supporting soaring pointed Gothic arches. The ceiling and roof structure, in the form of a "ship’s keel”, is particularly striking, while the Presbytery features admirable inlaid wood Choir stalls crafted in 1488. A visit to the Church of Sant'Alvise and the nearby church of Madonna dell'Orto takes you through the most secret and authentic corners of Venice in one of the remotest parts of Cannaregio, steeped in the silence of the lagoon and on regular lots of reclaimed land. Originally a convent church, Sant'Alvise was, according to tradition, commissioned by Venetian noblewoman Antonia Venier in 1388, in honour of St. Louis of Toulouse who had appeared to her in a dream. The present form of the church is the result of a reconstruction completed in the XVIIth century. The daring perspective of the ceiling frescoes painted in that century by Antonio Torri and Pietro Ricchi is still spectacularly effective. The remarkable works of art conserved in the church of Sant’Alvise include the extraordinary “Christ Carrying the Cross” – a late masterpiece by Giambattista Tiepolo, who painted two other works still conserved in this church, “The Coronation of Thorns” and the “Flagellation” (1737-40). The Church of Santa Maria Formosa, built in 1492, is an architectural masterpiece by Mauro Codussi, and marks the introduction into Venice of the sculptural and spatial vision embodied in the Tuscan Renaissance. The Latin-cross layout, with central nave and two side aisles, respects the foundations of the original VIIth century church (which, according to tradition, was one of the eight founded by St. Magnus, Bishop of Oderzo, after the Virgin appeared to him in a vision as a magnificent buxom (formosa) matron. Codussi built the church precisely over the existing foundations of the earlier XIIth century Greek-cross plan and crowned it with a dome, creating a well-articulated space with a strong and suggestive central focus, in which the complex structure of vaults and domes seems to float above the steady light flowing through the deep windows of the bearing walls. The Church of San Pietro di Castello stands on the ancient island of Olivolo, now known as Castello, in what was the first human settlement and the first religious, political and commercial centre of the nascent city. This masterpiece of early Venetian Renaissance architecture by Pietro Lombardo, comparable in its unitary design to a magnificent jewel box sculpted and clad in polychrome marble, represents a work of great historical and artistic, as well as sentimental value to the Venetians. It was built between 1481 and 1489 upon commission by Angelo Amadi to hold an image he owned of the “Virgin with Child between Two Saints”. Painted by Nicolò di Pietro (XIV-XV centuries), and placed on the altar of the church, the image was said to work miracles. The Church of the Redentore is one of the most famous and venerated churches in Venice, and the centrepiece of one of the city's most deeply felt public celebrations (the Feast of the Redentore, on the third Sunday in July). Commissioned by the Senate to honour a vow taken during the terrible plague of 1575-77, the Church was designed by Andrea Palladio and is one of the absolute masterpiece of Renaissance architecture. It was completed after Palladio's death in 1580 by his foreman Antonio da Ponte, who remained faithful to the original design, represented in the façade with its broken pediments by the half columns and the strong horizontal element that ties its geometry together. The church and sacristy abound in important artworks, such as the fine large lunette of the counter-façade by Pietro Vecchia on the subject of “The Virgin Presenting the Blessed Felice di Cantalice to Jesus”, and in the nave and presbytery paintings by Paolo Veronese (and his school), by Jacopo Tintoretto, Francesco Bassano, Paolo Piazza and Jacopo Palma il Giovane. This is a very ancient church, founded before 1071, though nothing remains of the original building which was destroyed in the terrible fire that ravaged the Rialto area in 1514, devastating many shops and enormous quantities of merchandise. The reconstruction of the church was probably commissioned to Antonio Abbondi known as Lo Scarpagnino, who completed it before 1531 while supervising the reconstruction of the entire market area. The church, a beautiful example of Renaissance architecture, so perfectly embedded in the dense urban fabric as to become difficult to find, contains two extraordinary examples of sixteenth-century painting by two of its foremost artists – Titian and Pordenone. The Church of the Gesuati, the largest convent complex in XVIIIth century Venice, was built between 1726 and 1735 for the Dominican Order to replace the smaller church that still stands beside it, which had become too small to hold all the parishioners. The Dominican Order took over from the Jesuates (from whom the church took its name) in 1668, when the order was suppressed. Giorgio Massari was the architect who designed the church and the decorations in the interior, with the help of two great artists of the time: Giambattista Tiepolo and Gian Maria Morlaiter. The three definitively established their fame in the city thanks to the remarkable work they did on the church. There is a beautiful harmony to the interiors, with the striking ceiling frescoes by Giambattista Tiepolo, featuring three splendid frescoes representing “The Virgin Appearing to St. Dominic”, “The Institution of the Rosary” and “The Glory of St. Dominic”, surrounded by a number of monochrome medallions. original Byzantine structure (the two column-bearing lions at the base of its bell-tower were probably part of the original building). The first major transformation took place in the XVth century when the church was adapted to the Late Gothic style, represented by the beautiful portal attributed to Bartolomeo Bon. It was rebuilt a second time in the neo-Classical style in 1804, by Davide Rossi. The church is home to paintings by Jacopo Tintoretto, Jacopo Palma il Giovane, Giambattista and Giandomenico Tiepolo, and Paolo Veronese. 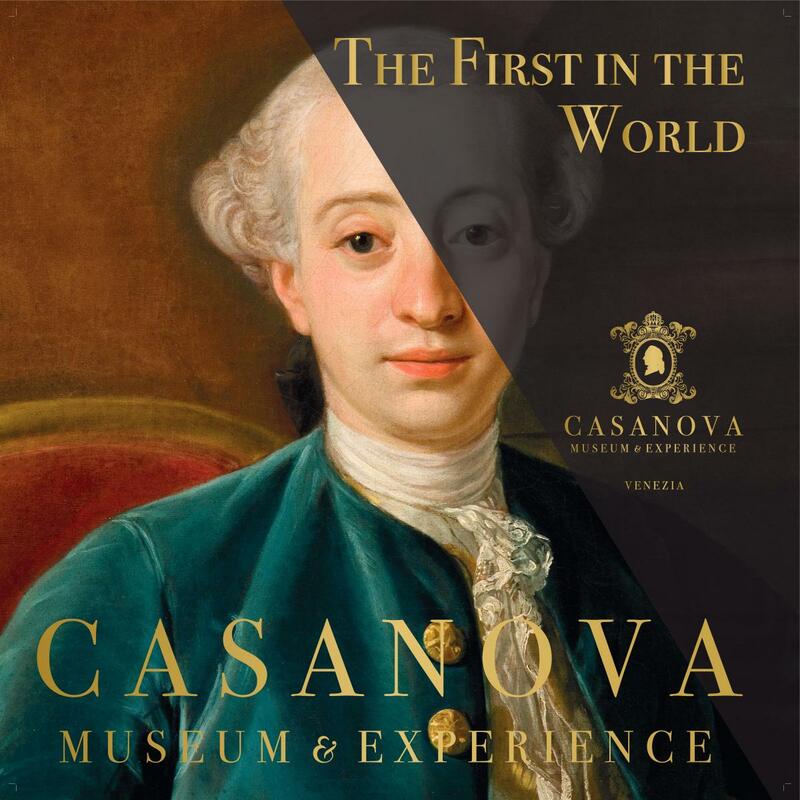 This is one of the most important landmarks of Venetian art, housing the most extraordinary body of works by Paolo Caliari, better known as Il Veronese. The church, founded in the fifteenth century by the confraternity the Padri Gerolimini, was expanded and renovated in 1506 under the direction of Antonio Abbondi, known as Lo Scarpagnino, who turned the orientation of the church towards the canal. More important than the architecture of the church is its magnificent cycle of paintings by Paolo Veronese, undoubtedly the grandest and most significant undertaking by the artist in the course of his entire lifetime. The church, a true mausoleum of Veronese, also houses the mortal remains of this great artist (to the left of the presbytery). Other paintings worthy of note include works by Bonifacio de’ Pitati and the school of Tintoretto in the sacristy; in the church, in particular, the fine “San Nicolò” by Titian, and works by Paris Bordone, Jacopo Sansovino, Jacopo Palma il GIovane and Alessandro Vittoria. After the Basilica of St. Mark, the Basilica of Santa Maria Gloriosa dei Frari is the most remarkable ecclesiastical complex in Venice, and one of the most important Franciscan monasteries in Italy. Originally built between 1250 and 1338 by the Franciscan Order of Friars Minor, the convent was thoroughly reconstructed in the XIVth century, based on a plan sometimes attributed to Friar Scipione Bon, in a grand Gothic-Cistercian style with three naves and seven apsidal chapels. Over the centuries the Basilica has come to house an incredible treasure of exceptionally important and valuable works of art, that will take you on a journey through the history of art and devotion in Venice from the XVth to the XVIIIth century. It is home to what is perhaps Titian’s greatest masterpiece of his mature years: the evocative “Assumption” (1516-1518) painted by the artist to hang over the main altar, captures and dilates the vanishing point visible from the central nave, and the Pala Pesaro altarpiece. The Triptych of the “Virgin and Child with Saints” by Giovanni Bellini (1488), hanging in the Pesaro Chapel in the sacristy and considered one of the masterpieces of XVth century Venetian painting, is an ideal match to the “Triptych of Saint Mark” (1474) by Bartolomeo Vivarini in the elegant Corner Chapel. Founded in the 9th century, San Giacomo dall'Orio is one of the most ancient churches in Venice. Its current form - a Latin Cross plan with a central nave, two aisles and a transept – is the result of a reconstruction process that began in 1225, later modified in the XVth and XVIth centuries. The appeal of this church lies in its sober and archaic exterior, and the ingenious design of the interior space, dominated by the warmth of the wood beams and ceiling. Some of the Byzantine elements (brought back from the Orient at the end of the Fourth Crusade), such as green marble column with the Ionic capital, which was admired by John Ruskin and Gabriele D’Annunzio, were probably introduced during the reconstruction in 1225, while the system of apses towards the campo date from the XVth century. The church is home to some of the masterpieces of Venetian Renaissance painting, such as the “Virgin with Child among the Apostles and Saints” on the main altar, one of the few paintings by Lorenzo Lotto in Venice. An interesting example of Renaissance architecture, the church features an elegant portal by Pietro Lombardo and statues of St. Bernardino, St. Anthony and St. Louis. The bell tower is built in the Late Gothic style. Originally built as an oratory in 1378, the church of San Giobbe was transformed between 1470 and the early 1500s by Pietro Lombardo, the architect who built it as one of the first examples of Renaissance architecture in Venice. On the site of the original oratory, with its discernible Gothic imprint, stands the Contarini Chapel. The church of San Giuseppe di Castello was founded in 1512, as documented by a decree issued by the Venetian Senate, and entrusted to the Augustinian nuns. The building, whose architect remains unknown, stands sideways along the fondamenta of a canal, with a façade decorated with double pilasters, interrupted in a later era by large semi-circular windows. The gabled façade has only one significant architectural feature, the elaborate tympanum above the portal, with a bas-relief at the centre depicting the Adoration of the Magi, by Giulio dal Moro. The interior features a single nave. Suspended on the wall above the main entrance is the “barco”, a choir once connected with the convent next door. On the altar stands the “Adoration of the Shepherds”, an altarpiece painted in 1582 by Paolo Veronese in 1582, commissioned by doge Marino Grimani with the clear intent to commemorate the client’s father, the Procuratore di San Marco Girolamo Grimani, who died in 1570 and is portrayed in the painting as Saint Mark.